Everyone loves Marc Bolan. If you don’t, then you are not being honest with yourself. He made so many great records, never stopped trying in the early rejection years, and became a advocator for punk as it overtook glam in the later years. He didn’t get into that us-against-them frame of mind. Instead, he found love and warmth for the new voice of youth. He was never going to grow old. Did any of his peers invite The Damned on tour? We all know the answer. 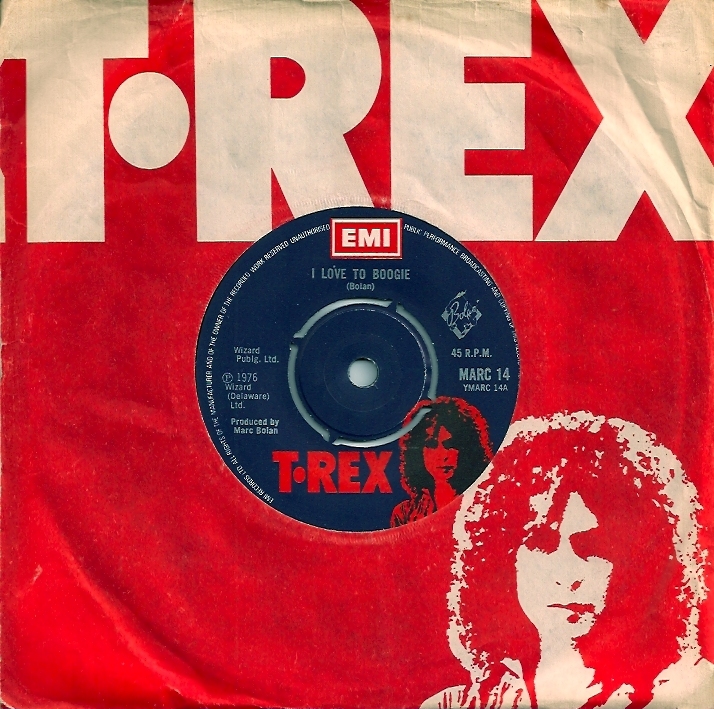 ‘I Love To Boogie’ was called throwaway by singles critics in the weekly UK music press. But critics tend to try dragging you into their poor, frustrated and unpleasant misery….if you let them. ‘I Love To Boogie’ has stood the test of time. It’s simplicity now a greater power than the most produced, orchestrated and probably commercially more successful tracks at the time by the likes of, say, Queen, The Electric Light Orchestra and Toto too. Just as with Prince’s ‘Sign Of The Times’ or ‘Kiss’, less is more. Way, way more.